You can expand your view and even grow herbs, plants and flowers inside your home with these delightfully innovative, 3-dimensional windows featuring the B35 glass system for maximum energy efficiency. Garden windows, sometimes known as projected frame windows, are great for kitchens, bathrooms and utility rooms where you want to increase the light coming in to your home while actually expanding useable space inside your property. With garden windows, it’s like you have a miniature greenhouse inside your home! 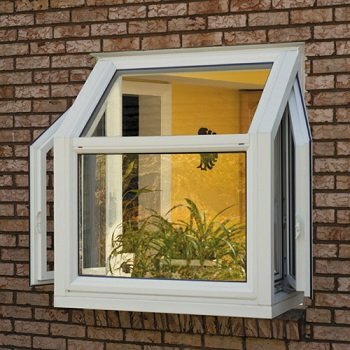 Are you looking for authentic, vinyl replacement garden or projected frame windows for your home? Contact Bee Window today!